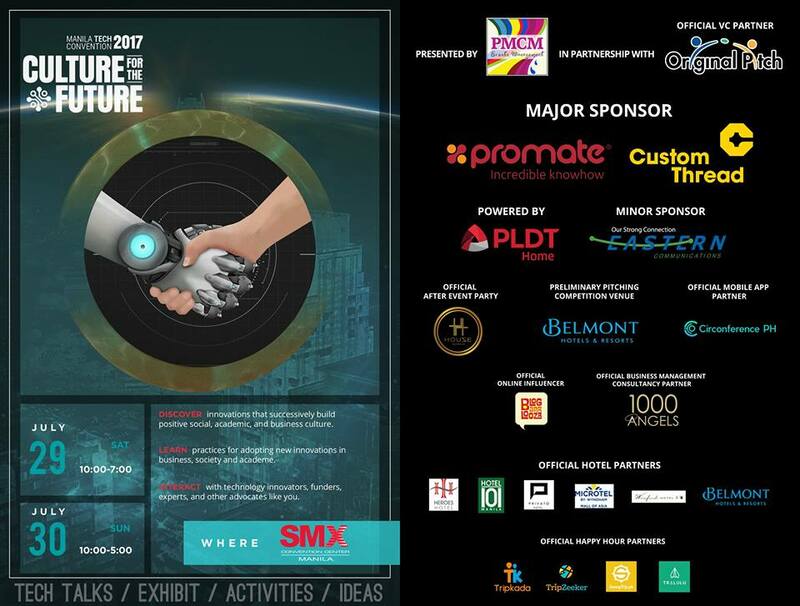 Techtonic: Manila Tech Convention 2017 is the biggest tech innovation event in the Philippines, aiming to showcase local and international tech innovations, bring investments to both startups and established companies, and convene the industry’s brightest minds. 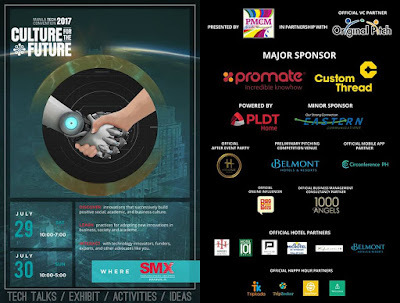 With the theme, "Culture for the Future," the event will be held on July 29-30, 2017 at SMX Convention Center (Hall 2) in SM Mall of Asia Complex, Pasay City. This event aims to gather local and international tech startups, different sectors of the government, industry leaders, and angel investors and venture capital groups worldwide in a two-day learning, networking, and pitching event. We believe that opening doors of opportunities for these groups to meet and connect makes the technology ecosystem of this country move forward in a more proactive way.